Sometimes, to find really great outfit inspiration, we need to look the past to inform our modern-day wares. For parties, we look to the likes of Kate Moss and Bianca Jagger; for tartan, we continually turn to Princess Diana; and for excellent dress options, Liz Hurley is our go-to. However, flashback fashion isn’t all about statement prints and extra silhouettes; the ’80s and ’90s were eras dominated by two essentials—shirts and jeans—and there’s so much we can learn from the way celebrities wore them at the time. In fact, we’ve trawled through the fashion archives to find 20 examples of celebrities wearing jeans and shirts in vintage photographs, going as far back as the mid-’50s, right through to the early ’00s. From Sade to Sienna, and Cindy to SJP, keep scrolling to see the chicest ways to wear a shirt and jeans, in true vintage celebrity style. Style Notes: Diana proves she’s just as comfortable in ballgowns and tiaras as she is a pink linen shirt and high-waist jeans. What a woman she was. Style Notes: Airport outfits don’t come chicer than Cindy Crawford’s combination of a white shirt, vintage-wash denim, slouchy blazer and tan accessories. Style Notes: A black shirt, light-wash jeans, mega hoops—Courteney Cox’s look is one we’d gladly re-create for our next night out. Style Notes: Model Dasiy Fuentes is an Americana pin-up in her baseball cap, flannel shirt, straight-leg jeans, white socks and heeled loafers. 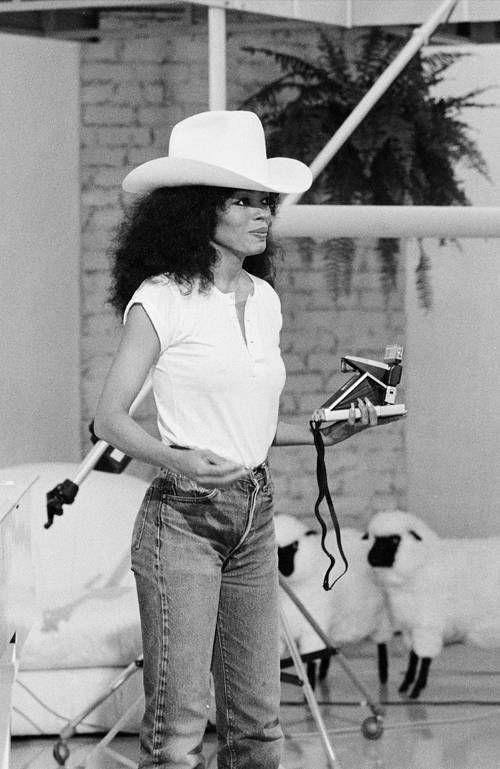 Style Notes: Diana Ross does flamboyancy so well, but it turns out she also has a penchant for jeans, short-sleeve shirts and cowboy hats. 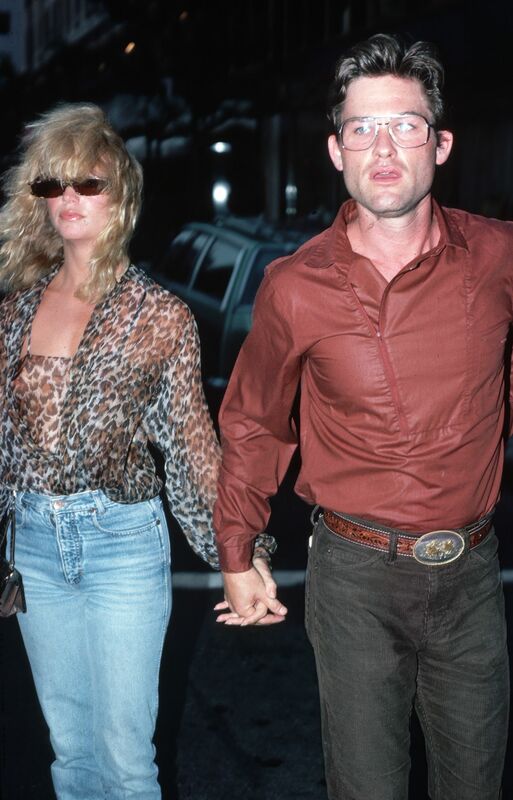 Style Notes: To be honest, we’d happily wear Goldie or Kurt’s jean-and-shirt outfits. Style Notes: See how Claudia Schiffer has effortlessly paired her high-neck shirt and navy, brass-buttoned blazer with some ripped jeans? This is high-low dressing at its finest. Style Notes: Nowadays Gwyneth is all about statement dresses and chic tailoring, but, back in the ’90s, baggy jeans, button-down blouses and Converse served as her daily uniform. 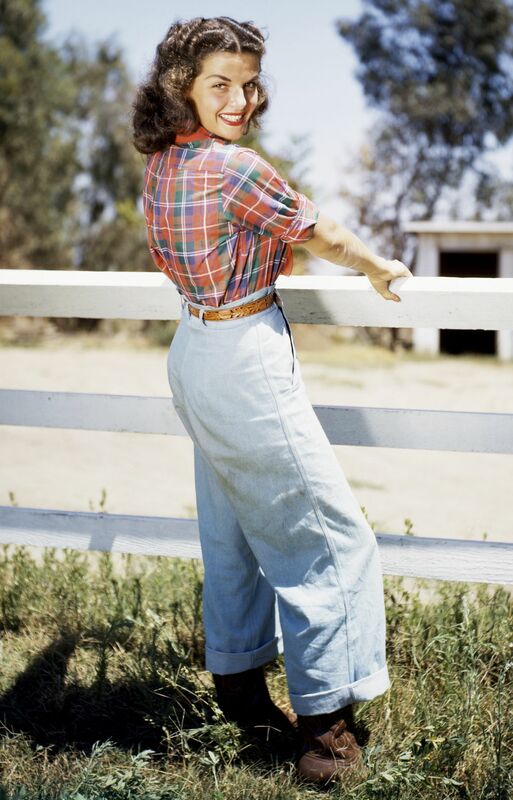 Style Notes: Could this ’50s look from Gail Russell be any more 2019? We think not. Style Notes: The only thing fresher than Jen’s face is her flair for shirting, jeans and knotting her belt just so. 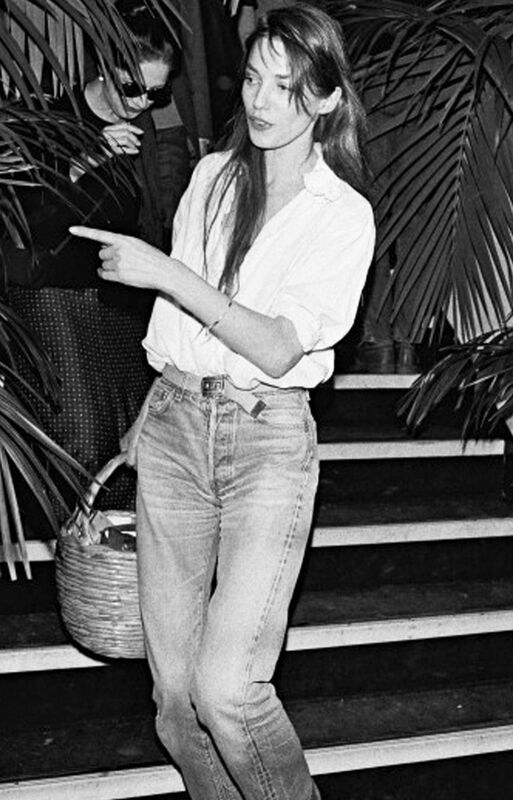 Style Notes: Jane Birkin was just as attached to boyfriend jeans and white linen as she was her trademark wicker basket. 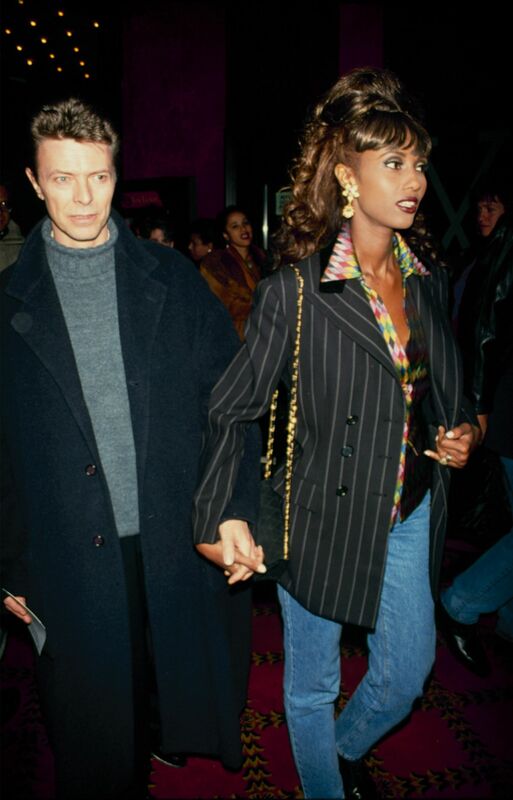 Style Notes: Iman makes a case for print-clashing with her jazzy shirt and pinstripe blazer. Style Notes: Julia Roberts has given us many gifts, but none more useful than this short-sleeve shirt, straight-leg jeans and Western belt outfit idea. Style Notes: The red carpet used to be significantly more casual than it is today, as Reese Witherspoon can attest. Style Notes: Naomi Campbell serves up the most glamorous way to wear jeans and a shirt: sheer and low-slung. Style Notes: The only thing that could make Nicole’s look more perfect is if she borrowed Tom Cruise’s Ray-Bans. Style Notes: Sienna Miller wore a striped shirt and skinny jeans, so we wore a striped shirt and skinny jeans. 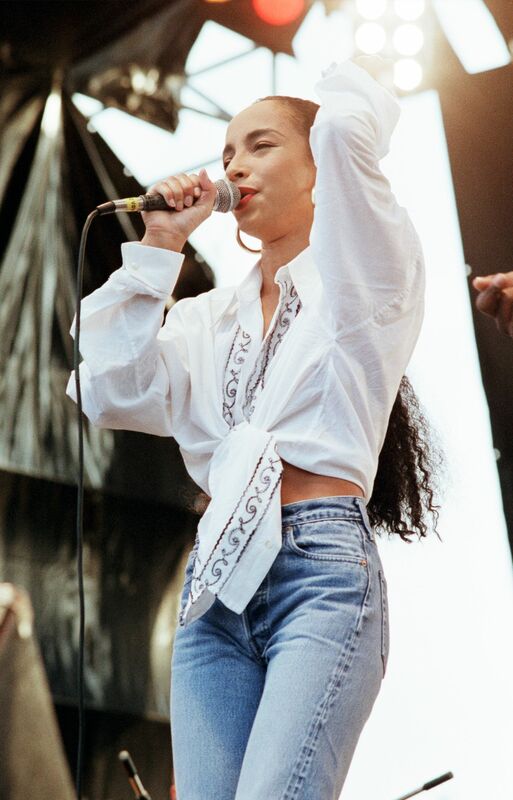 Style Notes: Sade is fast-becoming our summer 2019 fashion muse. We’re re-creating this look of a tie-waist blouse, high-waist jeans and hoop earrings at the first signs of sunshine. 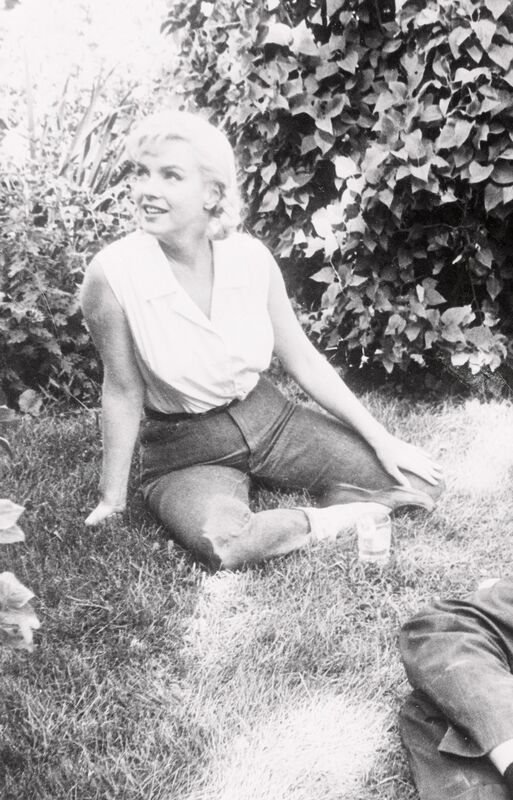 Style Notes: Marilyn Monroe looks relaxed and chic in equal measure in her high-waist jeans and short-sleeve blouse. Style Notes: We don’t know about you, but we think Sarah Jessica Parker’s oversized shirt, blue jeans and white scrunchie are worth waving a flag for. 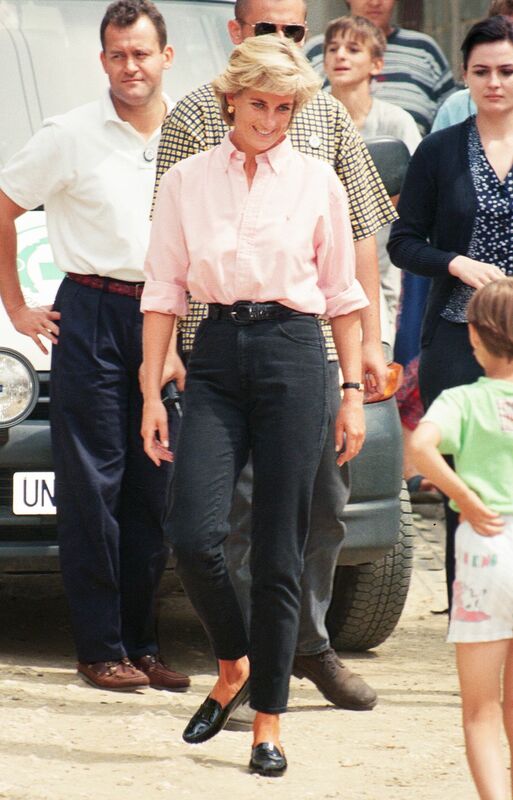 Next up, see how Hillary Clinton’s ’90s style is still incredibly relevant today.